A St. Paul man ran a marijuana trafficking business out of an old pizza and ice cream parlor with the help of his girlfriend, mother and grandmother, according to charges filed Friday in Ramsey County District Court. In the course of their investigation, authorities discovered marijuana, cocaine, three handguns and hollow point bullets in the suspects' St. Paul homes. Although authorities locally and out of state had intercepted more than 144 pounds of marijuana associated with the suspects between 2006 to 2013, exposing the fraudulent pizza parlor took a call last year from a concerned citizen. "On August 19, 2014, a concerned citizen made a report with the St. Paul Police Department that Papa Dimitri's Classic Pizza and Ice Cream located at 466 Hamline Avenue South ... is rarely open and does not seem to do much actual business," said the criminal complaint. "The concerned citizen reported that employees have complained about the heat not working, which the concerned citizen thought odd since the pizza ovens should have provided plenty of heat. "The concerned citizen said that the employees ate at another nearby restaurant, the Nook, which was also odd because they work in a restaurant ... and it appeared that there were more children being babysat at the restaurant than actual customers." That call led to police surveillance of the pizza parlor in November 2014, and criminal charges against owner Ryan D. Brooks, Sr. and his family. The pizza parlor, which was transferred to Brooks in 2010, received $189,891.82 in cash deposits in its bank account between Jan. 1, 2013 and Oct. 31, 2014, according to the charges. An officer who had worked at the Ramsey County Workhouse told investigators that while Brooks was incarcerated there in 2008 and 2009, he allegedly admitted to using the pizza parlor to launder drug money. "Brooks said he utilized pizza boxes and bags to deliver marijuana under the guise of making pizza deliveries," the charges said, referring to the officer's statements to investigators. 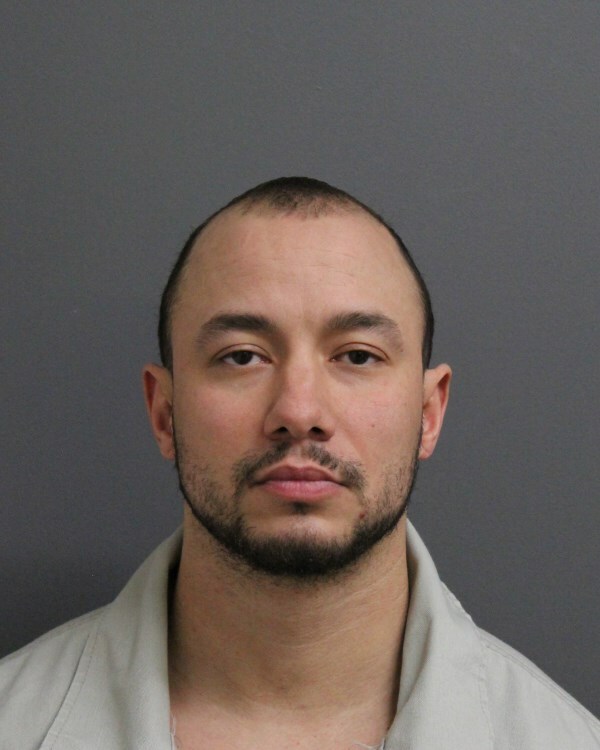 Brooks, 32, is charged with first-degree possession of cocaine, fifth-degree conspiracy to sell marijuana, concealing criminal proceeds and possession of a firearm by an ineligible person. His girlfriend, Lena S. Kirk, 24, faces first-degree possession of cocaine, fifth-degree conspiracy to sell marijuana and possession of a firearm by an ineligible person. Brooks' mother, Rosalyn M. Brooks, 61, is charged with concealing criminal proceeds. His grandmother, Joyce E. Merkley, 82, is charged with fifth-degree conspiracy to sell marijuana and fifth-degree possession of marijuana. According to the complaint: Police surveillance last November 18-23 showed that Rosalyn Brooks opened the pizza parlor in the late afternoon. In six days the parlor had five customers and four pizza deliveries. Ryan Brooks stopped by once, spending 30 minutes at the parlor. That same month, police learned from a United States Postal Inspector that between August 2012 and October 2013, three deliveries to Merkley's home and one delivery to the pizza parlor had been intercepted containing more than 37 pounds of marijuana, the charges said. Although some of the packages had return addresses in St. Paul, the charges said that, "All of the packages went through Denver prior to delivery suggesting that they all originated in California." On Nov. 19, 2014, the U.S. Postal Inspector told police that a 5-pound package of marijuana addressed to Merkley had been intercepted. Authorities executed a search warrant on Merkley's home the next day. "The package was found unopened behind Merkley as she sat in a living room chair," the charges said. "Merkley initially denied knowing anything about the package she had received, but she eventually admitted she had received 3 or 4 packages from Brooks that contained marijuana. She said she never opened the packages, but she suspected what was inside." Merkley allegedly told police that her grandson occasionally gave her money. Paperwork found at her home also showed that Brooks owed $6,972.55 in child support. Rosalyn Brooks, who was present at the search, denied any knowledge of the packages Merkley received. Rosalyn Brooks told police she cashed out a 401K to start the pizza parlor seven years ago, and that she co-owned it with her son. "[Rosalyn Brooks] said she delivered pizzas," the charges said. Police found paperwork at Merkley's home showing that Rosalyn Brooks had an IRA with a beginning policy value of $52,320.96, and that on Oct. 9, 2014 she had a bank account with $959.35 in it. By Nov. 10 of that same year, $35,948.38 had been deposited into the bank account, according to the complaint. During a search of Rosalyn Brooks' home, police found three baggies of marijuana, a Glock handgun with an extended magazine and hollow point bullets, a loaded pistol, paperwork showing that she was to receive a $35,048 disability payment and documentation that she was receiving energy assistance from Community Action because her household income was $2,805. A search of Ryan Brooks' and Kirk's home yielded 16 bags of suspected marijuana, suspected cocaine, seven vials labeled "anabolics" and "testosterone," a handgun, $7,000 in cash, scales, packages addressed to Merkley and documents of bank transfers. Kirk's iPhone was also later searched and revealed "a series of photos of large amounts of marijuana," a photo of a UPS receipt and texts between Kirk and Ryan Brooks about bank deposits, drug transactions and deliveries, the charges said. Police also learned that Ryan Brooks had been on the radar of police at the Minneapolis-St. Paul International Airport because had had booked two flights less than a day before takeoff, and never boarded either flight. Between April 2012 and December 2014, he allegedly flew out of Minnesota more than 50 times while on probation for a previous conviction. Police executed a second search warrant on Merkley's home, and she allegedly admitted then that she received marijuana for her grandson. Bank records showed that Merkley had received $29,762 in cash deposits since January 2013. Ryan Brooks declined to speak with police when he was arrested. In 2006, Brooks and his mother were arrested in Nebraska in a rental car with 107 pounds of marijuana in the trunk, the complaint said. The two were returning to St. Paul from Las Vegas. Rosalyn Brooks was never charged in the case. Her son served 90 days in the case.